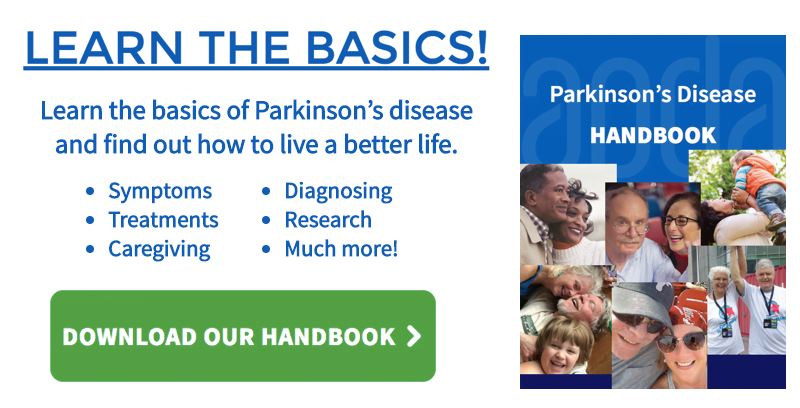 About one third of people with Parkinson’s disease experience freezing episodes. Freezing episodes are sudden, short, transient blocks of movement that occur primarily with initiating walking, turning, navigating through narrow spaces or approaching obstacles. Freezing can last just a few seconds or up to several minutes. Freezing can limit household and community mobility, increase risk of falling and contributes to reduced socialization and quality of life. Carry a laser pointer in your pocket; when you freeze – shine the laser in front of your foot and step on the light – this cue can help you re-start. Don’t fight the freeze by trying harder to step forward – shift your attention from moving the legs to moving the arms – then resume walking forward.